Actor Mike Farrell, perhaps best known for playing Capt. B.J. 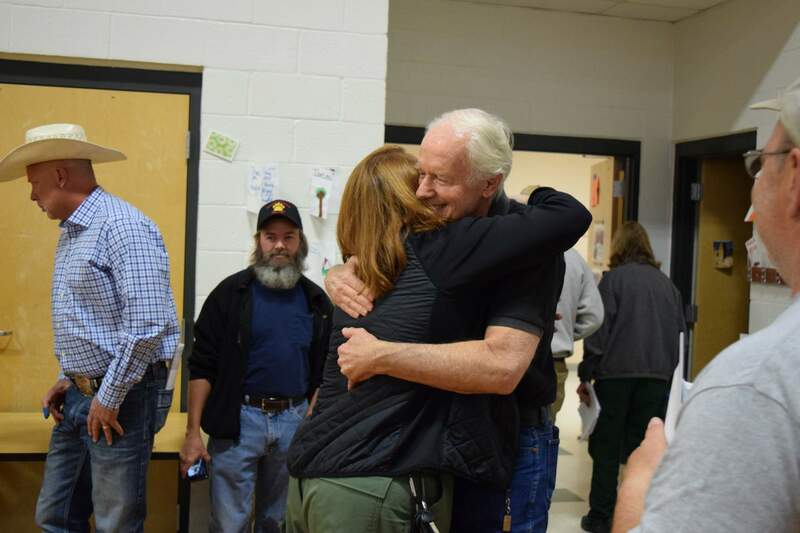 Hunnicutt in the long-running television series “M*A*S*H,” visited the 416 Fire Incident Command Post at Animas Valley Elementary School for the firefighters’ morning briefing Wednesday to share his appreciation for their hard work. Farrell was in Durango to prepare for Durango PlayFest, a new play festival bringing nationally recognized playwrights, actors and directors to town. The festival will be held Aug. 6-11 in Durango. Actor Mike Farrell visits the 416 Fire Incident Command Post on Wednesday morning. Farrell is in Durango to prepare for the new Durango PlayFest, which will be held Aug. 6-11 in Durango. 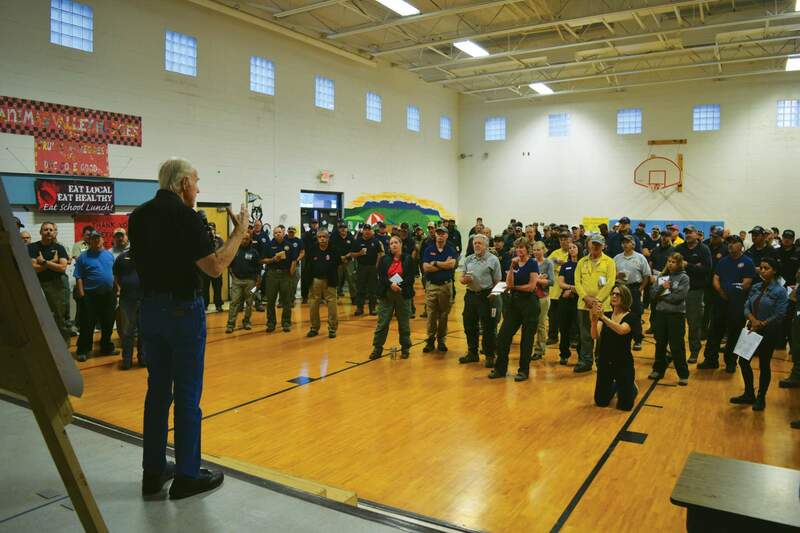 Actor Mike Farrell speaks to firefighters and personnel at their morning briefing Wednesday at the 416 Fire Incident Command Post at Animas Valley Elementary School.